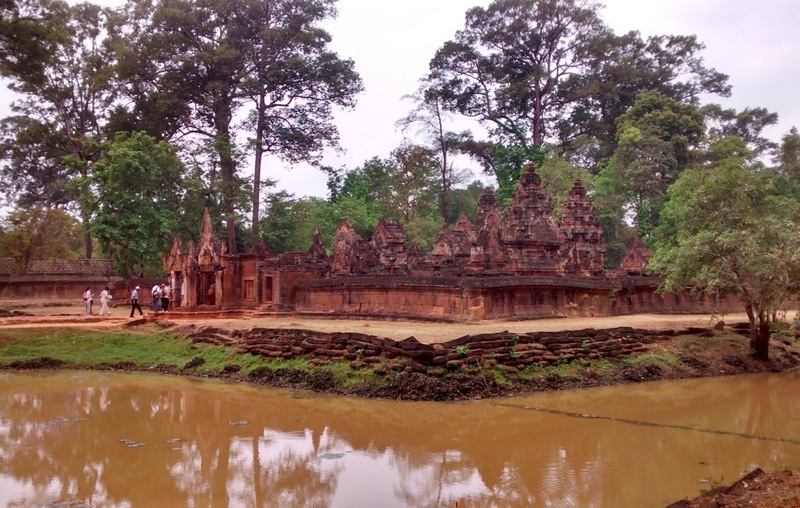 The tiny temple of Banteay Srei is so far away from Siem Reap that many wonder if it's worthwhile to go there. While the nearly 45-minute long journey can seem a bit too much for this small temple, Banteay Srei's exquisite carvings definitely make it worth the visit. Banteay Srei (literally - Citadel of Beauty) is so small that it seems almost like a miniature model for some of the other Angkor temples. Its doors and gateways make it look like it was built for children. The temple is famous for its carvings, which make its sandstone surfaces glow with life. The carvings are so delicate that the central portion of the temple has been closed off. If there was an award for highest amount of carving per square foot, then Banteay Srei would definitely get it. Perhaps because of its size, it seems hugely crowded. Tourists bump into each other and get into each other's photos. Unlike at other temples, it's impossible to lose yourself in some tiny corner of the temple, or take even a single photo without a tourist in it. The Cambodian government appears to have spent some time and money on developing Banteay Srei as a proper tourist attraction. Unlike at the other temples, the complex has souvenir shops, restaurants and a very detailed exhibition on the history of the Angkor temples. 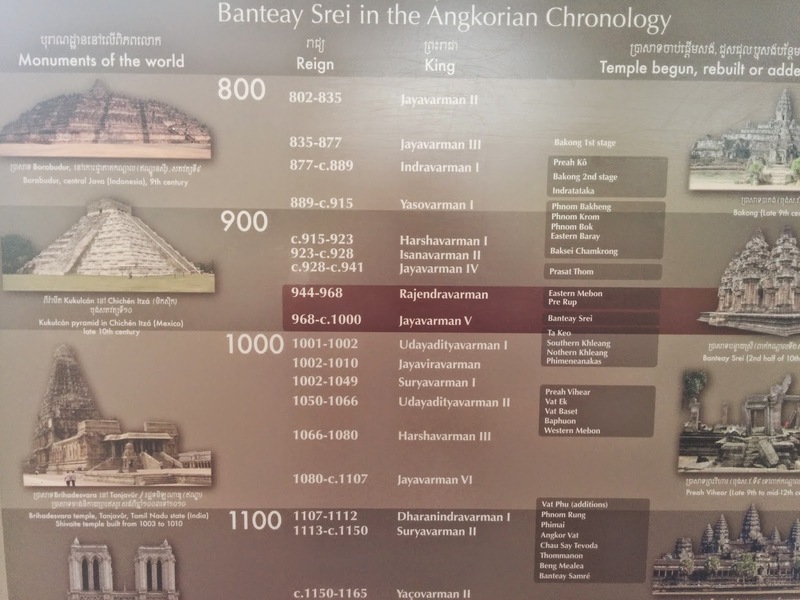 (I wish they would set up a similar exhibition at Angkor Wat - that would have let us understand the temple chronology right from Day 1.) 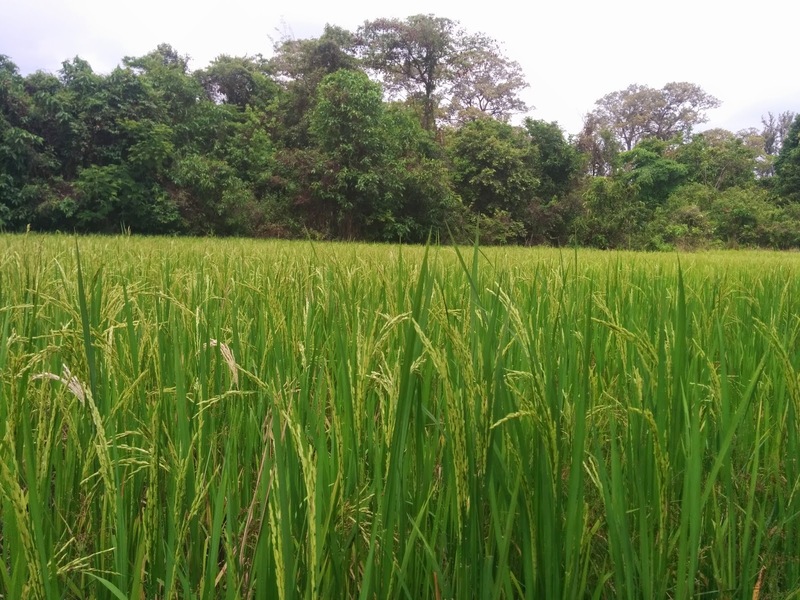 The temple is surrounded by forests and paddy fields, the latter watered by a canal. We also saw boards directing people to boat rides on the canal. P.S. 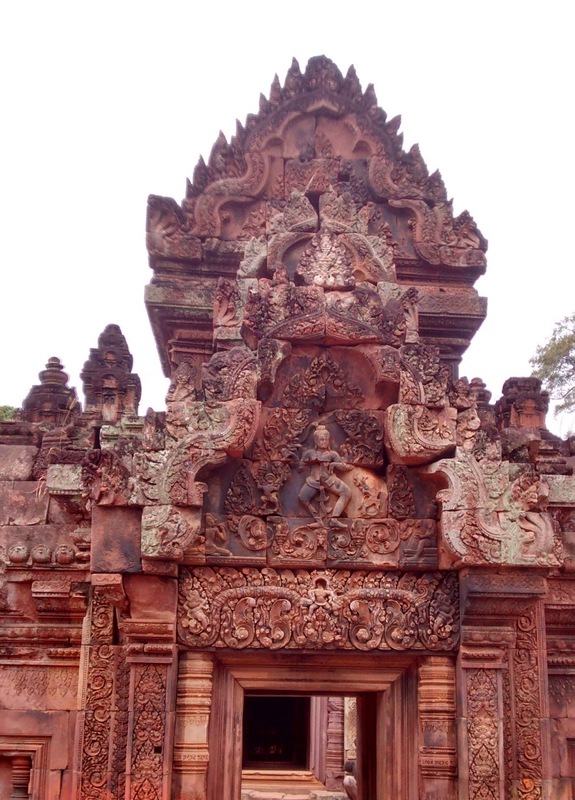 - This post has some more pics of Banteay Srei.